Administrative Professionals & Secretaries Day is Wed., April 24. Show your appreciation to the support people in your business with the morale boosting power of flowers. Order online, call (630) 719-5200, or visit one of our shops today! Local florist delivery in Chicago and suburbs plus nationwide flowers by wire. Nine award-winning family-owned locations. Since 1923. "Local, national and worldwide florist delivery, secure ordering, and satisfaction guaranteed from Phillip's Flowers and Phillip's 1-800-Florals. Find floral gifts, centerpieces, sympathy flowers, funeral flowers and more all specially priced for local delivery in Chicago and suburbs. 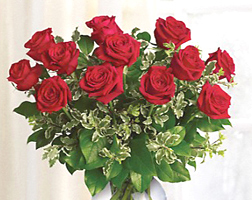 Send free virtual flowers with your e-mail message to anyone on the internet. Need flower delivery in Chicago and suburbs? 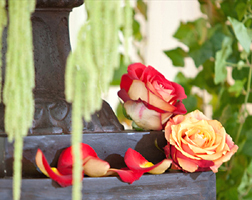 Trust our team of more than 200 floral professionals. Flower care and giving, design tips, and decorating ideas. Looking for a favorite flowers? Click here for flower pictures and names. All flowers convey love, but some have special meanings. Check out our new photo gallery of weddings and special events by Phillip's Flowers. More photos of wedding and event decorations by the artists at Phillip's Flowers. 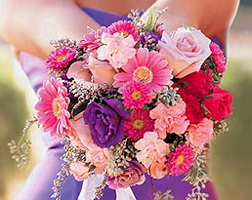 Browse our Glossary of Wedding Flowers for pictures of popular bridal bouquets and more. Custom party flowers and event decor by our Special Events designers. Don't miss another birthday, anniversary or important event! 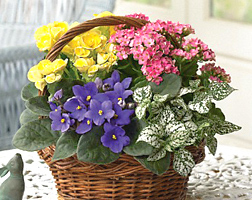 Phillip's Flowers is deeply rooted and growing strong for three generations. Chicago's Brautigam, Van Dyne, Manouso's BVM Florist and Darien florist House of Stewart join with Phillip's to serve customers better. 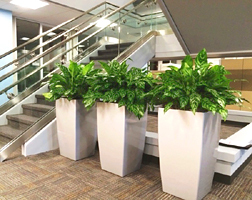 Serving businesses throughout the greater Chicago area with interior plantscapes and holiday decorations. 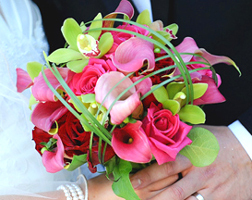 An extensive list of Chicago-Area Wedding Venues serviced by Phillip's Flowers. 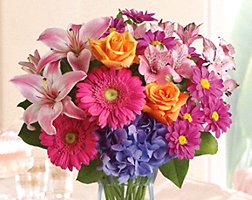 Order Flowers Online or by Phone! Ranked among the top 1% of North American florists, Phillip's Flowers & Gifts is a third-generation family-owned company with nine award-winning Chicago area locations, daily flower delivery in Chicago and 150 suburbs, plus same-day and next-day nationwide flowers-by-wire. Six full-time family members are active in the business with more than 100 other floral professionals on staff. The company buys its fresh flowers direct from around the world for the best in quality and value. Local specialties include premium roses, wedding flowers, event decorations, funeral flowers and custom floral arrangements for every occasion. Phillip's also offers bulk wholesale flowers, commercial plantscaping services, and holiday decorations throughout Chicagoland. A Top FTD and Teleflora member, Phillip's combines the personalized service of a local family-owned, boutique florist with the resources, experience, and proven track record of other leading florists nationwide. In fact, we deliver to virtually every zip code in the entire metro area, including 60126, 60137, 60138, 60148, 60154, 60162, 60163, 60181, 60187, 60189, 60513, 60514, 60515, 60516, 60517, 60521, 60522, 60523, 60525, 60526, 60527, 60532, 60540, 60558, 60559, 60561, 60563, 60564, 60565, 60566, 60567, 60570, 60601, 60602, 60603, 60604, 60605, 60606, 60607, 60610, 60611, 60612, 60613, 60614, 60616, 60618, 60622, 60642, 60647, 60654, 60657, and 60661. In addition, our neworks of top florists deliver a wonderful variety of fresh floral gifts throughout most of the USA, Canada, and 140 other countries. So, for beautiful fresh flowers delivered throughout Chicago, the suburbs, and nationwide, too, call on Phillip's Flowers & Gifts. 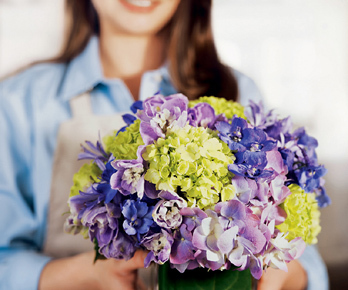 We've been Chicago's hometown family-owned florist for more than 90 years. For additional information, simply call or visit a Phillip's flower shop near you. We will be delighted to assist you in any way that we can. 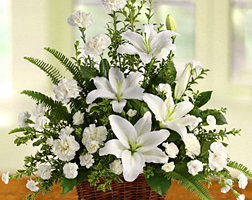 Funeral directors, see our Personalized Floral Tributes and Funeral Directors' Order Form.